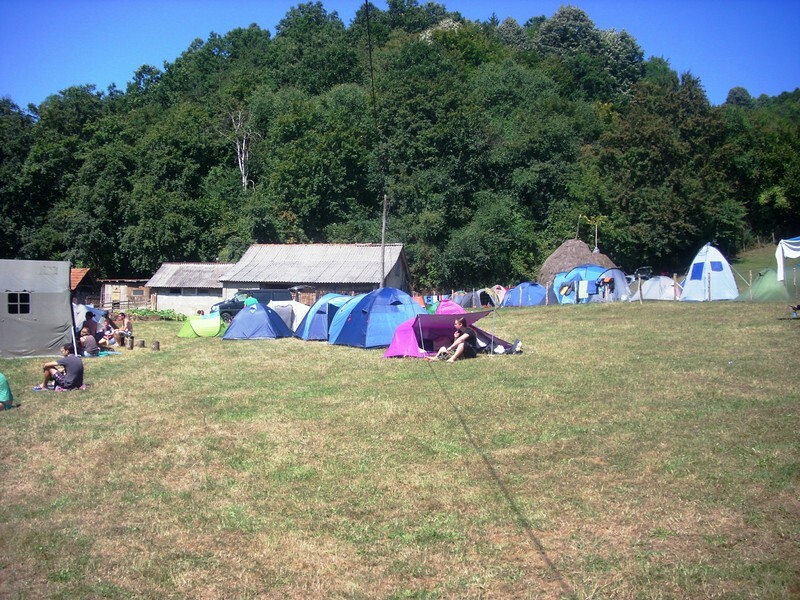 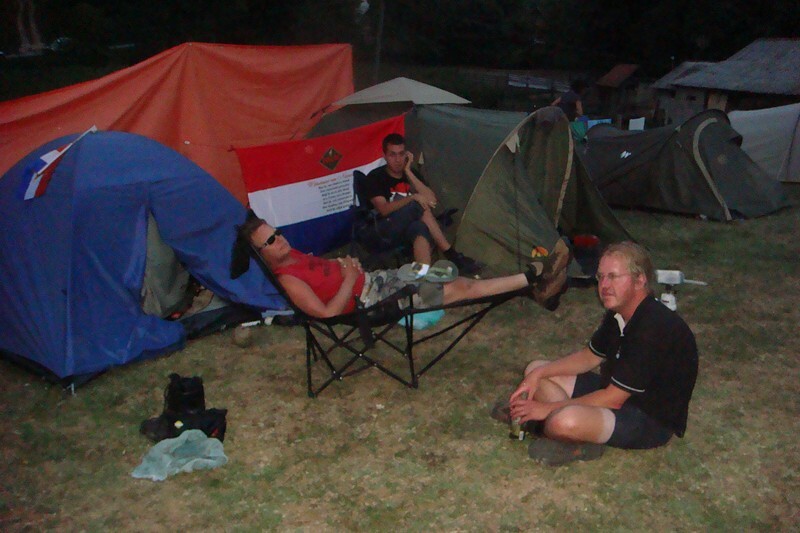 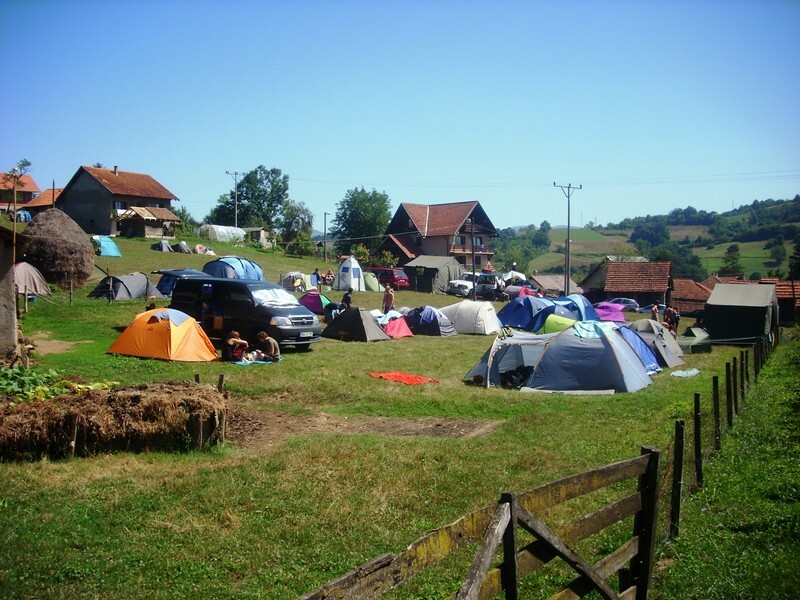 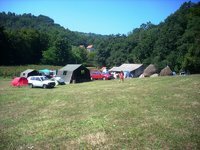 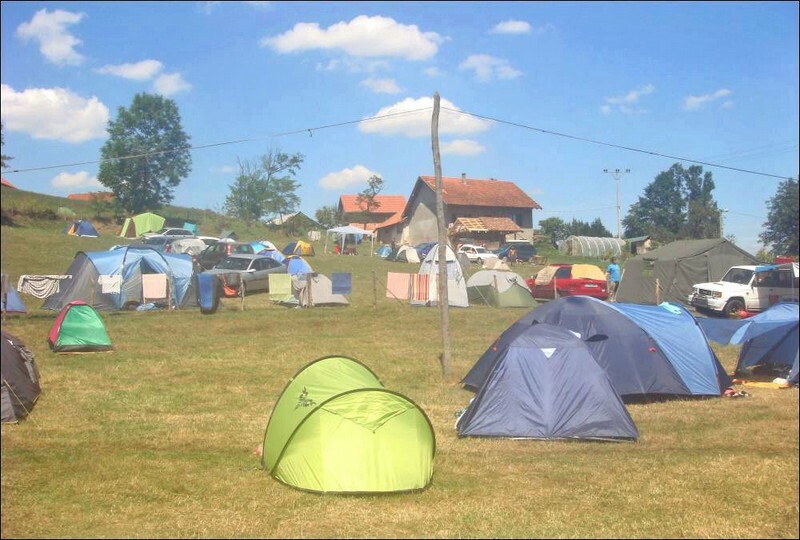 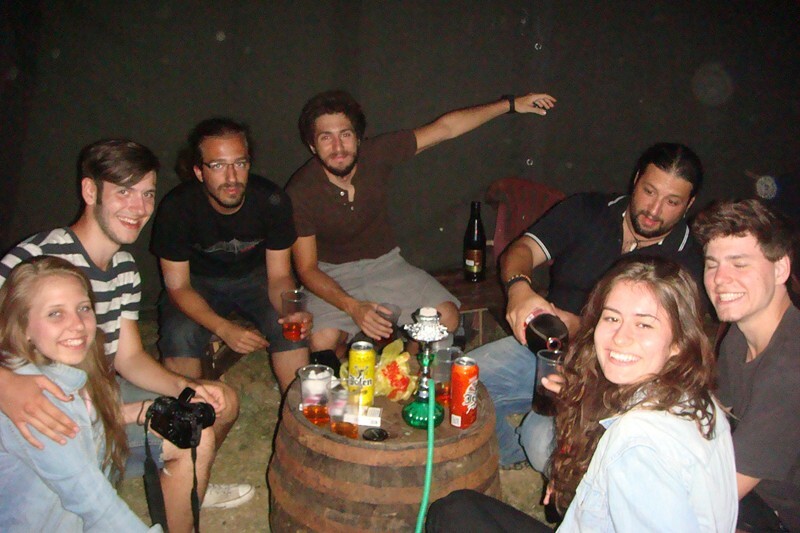 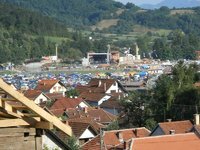 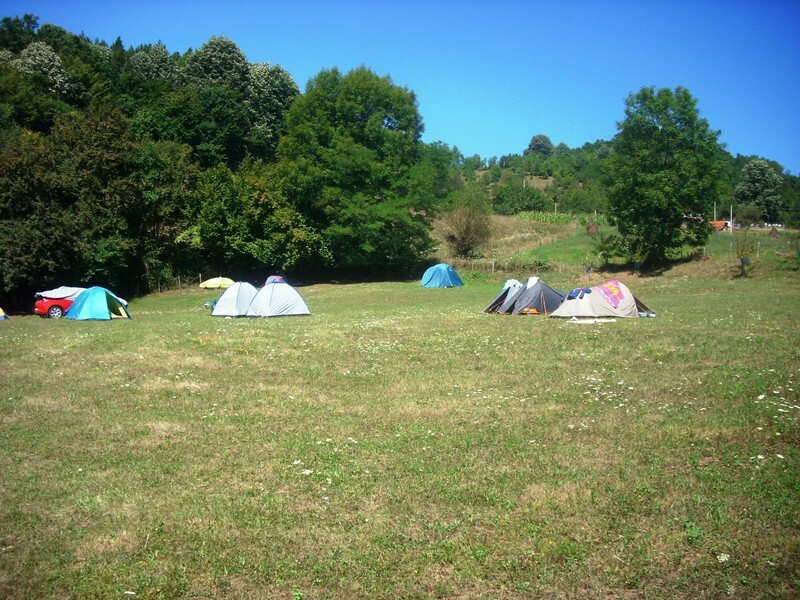 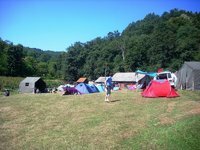 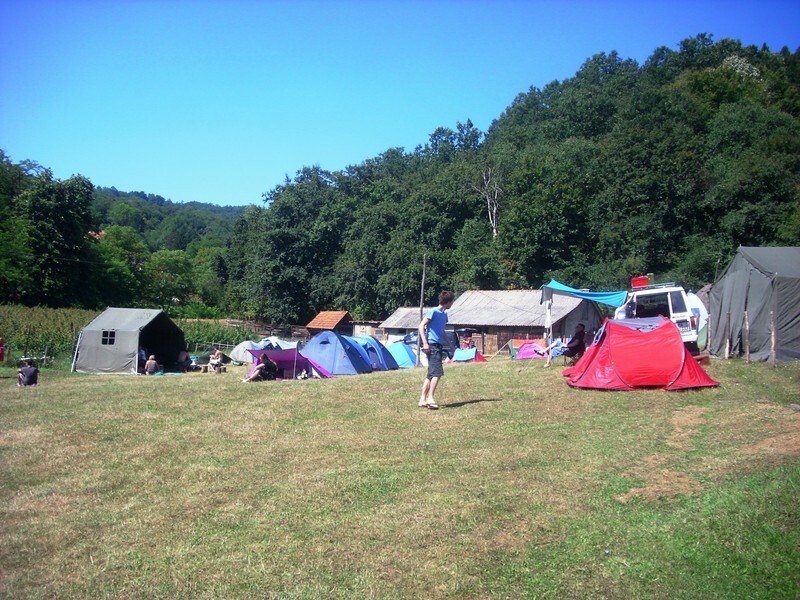 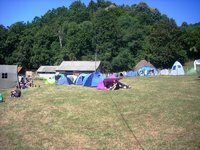 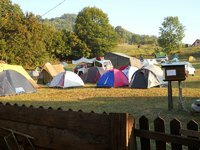 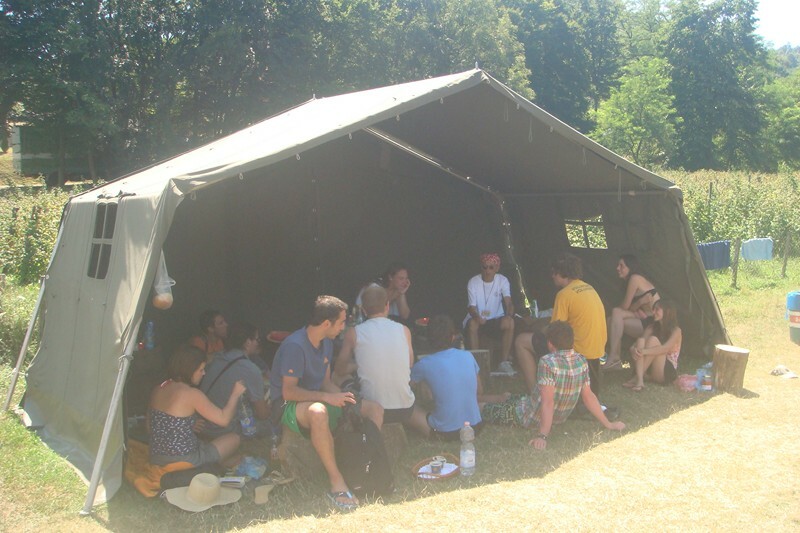 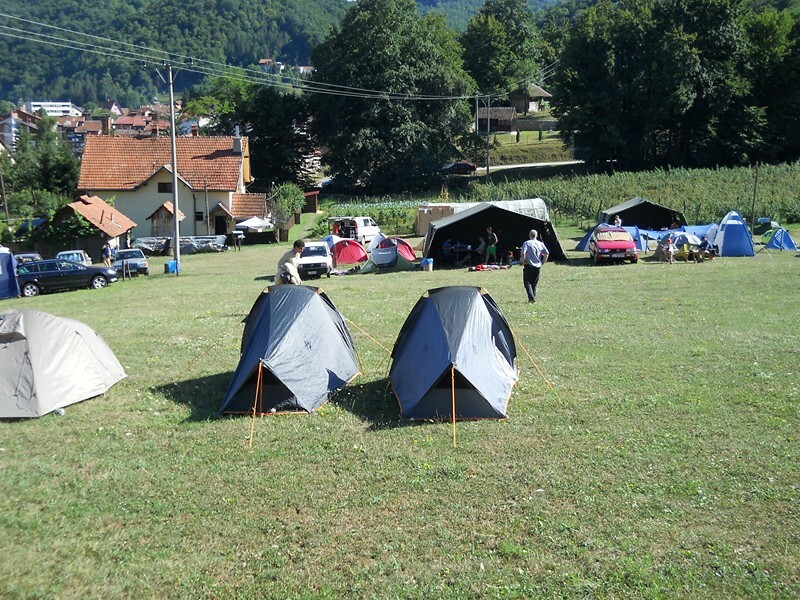 Camp Brocic is situated on a slope, less than 5 minutes walk to the entrance of the festival, in a quiet surrounding. 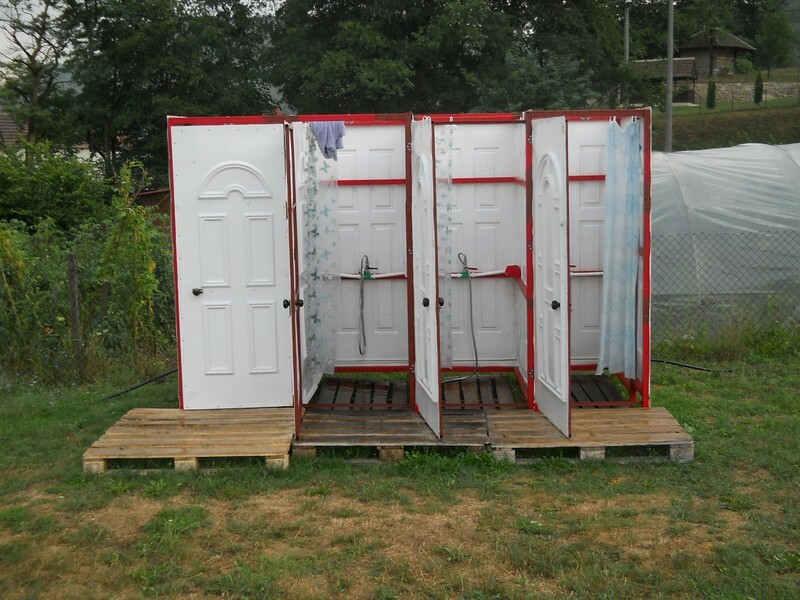 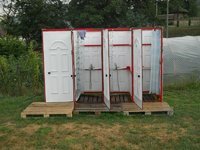 There are 6 toilets in a wooden construction, 4 showers in metal construction, a place to brush your teeth with mirror, and electric plugs to charge your phone. 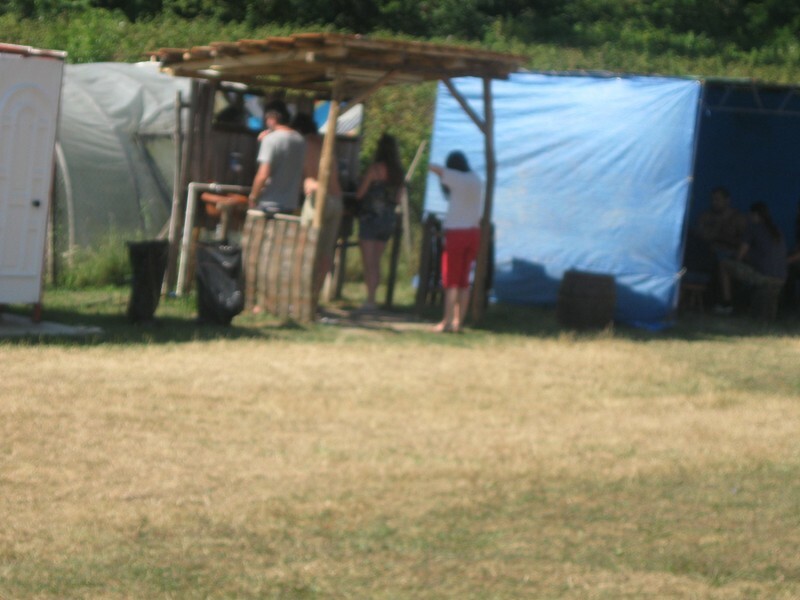 Hot water is provided with sun heated water tanks. 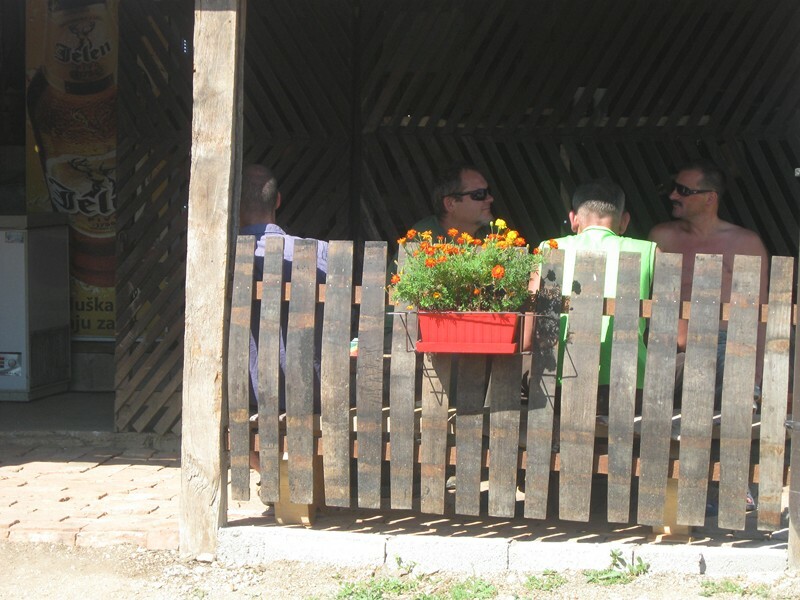 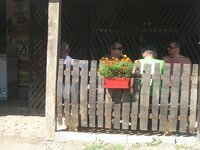 At your disposal are some sheltered places where you can sit and relax together in the shadow, and check your messages and emails. 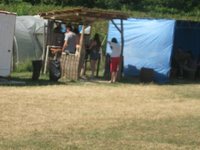 When you are thirsty, go to Milan in the small bar, he’ll have for you cold drinks, beer, coffee, tea, snacks, French fries, breakfast and don’t forget to taste the delicious homemade muffins and cheese- & apple pie from Maggie. 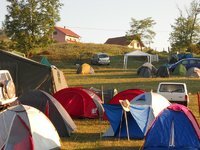 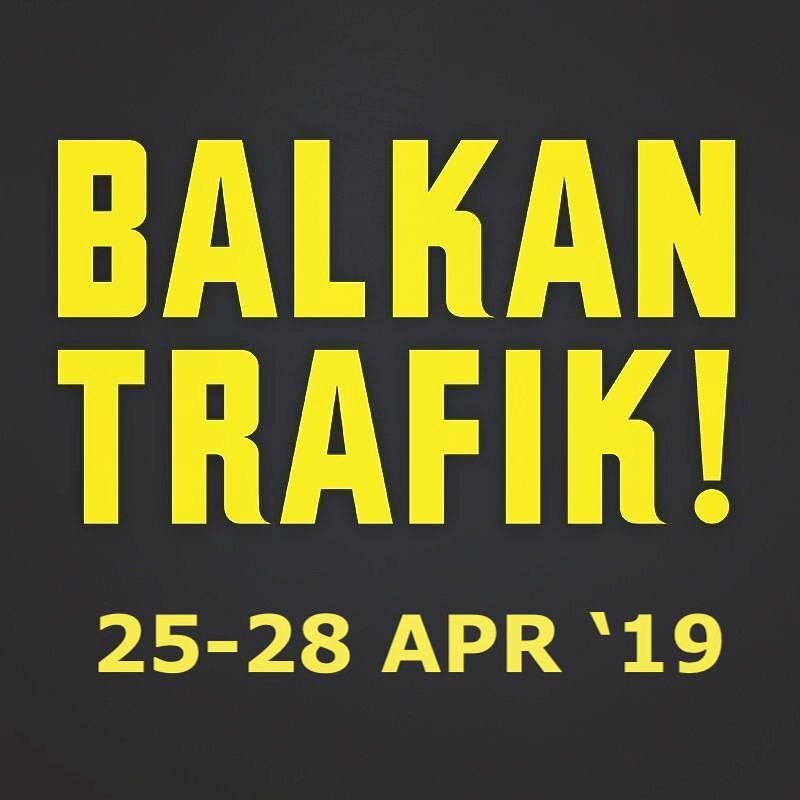 During the night Nikola will guard the camp, so that you can enjoy the festival and sleep safely. 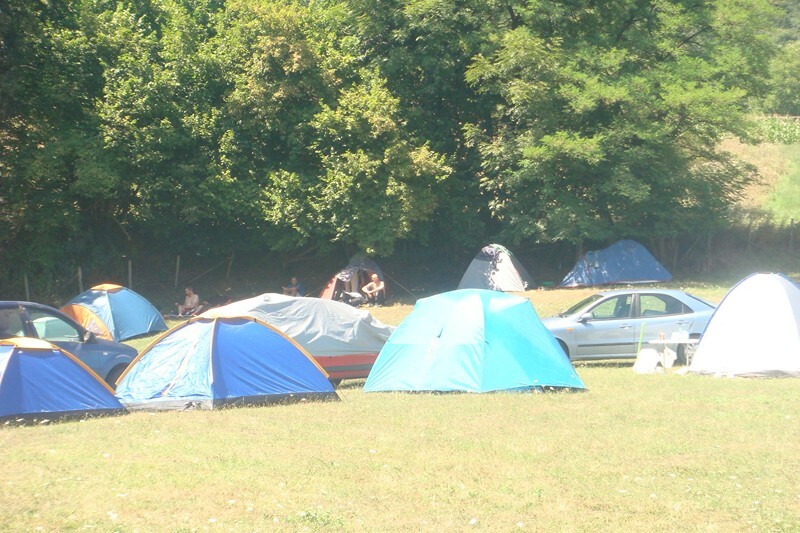 Nice place to stay from which you go home with a lot of new friends from around the world!